Alaska is one of the last truly wild places in North America, and aptly considered our modern day “last frontier.” Join Andy Williams for nine days and eight nights on this amazing Alaskan Wildlife and Landscape photographic adventure aboard the luxury yacht Northern Song. We have scheduled this workshop to coincide with the peak of the herring spawning season near Sitka, one of the largest spring herring spawning occurrences on the west coast of North America. The huge biomass attracts many species of wildlife, creating a spectacle of many thousands of animals which come to feast on the vulnerable rich fish. This biomass is an essential resource for the existence of almost all marine wildlife in the Pacific Northwest, and this annual spring spawning event is a celebration of this absolutely essential component of Southeast Alaska’s natural environment. Eagles gather by the thousands, lining the tress along the shoreline with their majestic white heads. 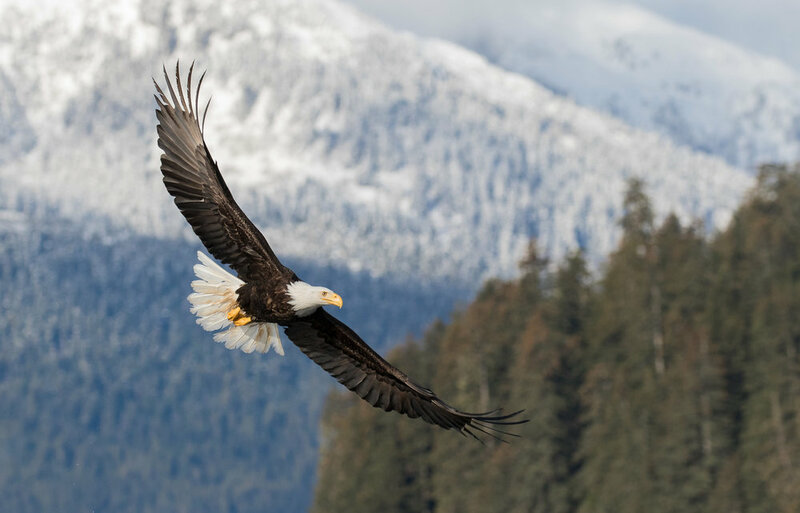 The eagles’ keen eyesight and winter hunger helps create a more than formidable aerial presence with their continuous elegant dives, catching herring by the talon-full. 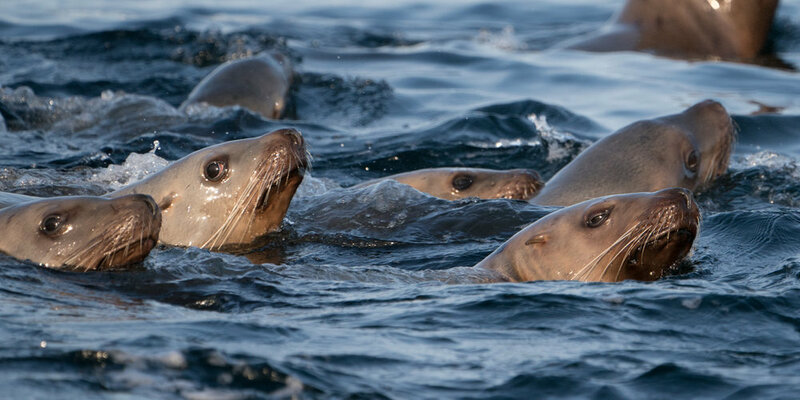 Seals and Steller sea lions rush through the tremendous schools of herring that ribbon the shallow waters along the shoreline. Humpback whales demonstrate a variety of foraging techniques to capture the extremely elusive schools of herring. With a little luck, we'll observe the whales' fascinating cooperative ‘bubble-net’ feeding behavior up close. And of course, what marine wildlife party in Alaska would be complete without an appearance of the ocean's top predator, the killer whale. The orca’s nomadic travels most definitely include a ‘shopping trip’ to the buffet presented by the herring’s arrival to spawn along beautiful isolated beaches. We start in Sitka, and end in Petersburg. 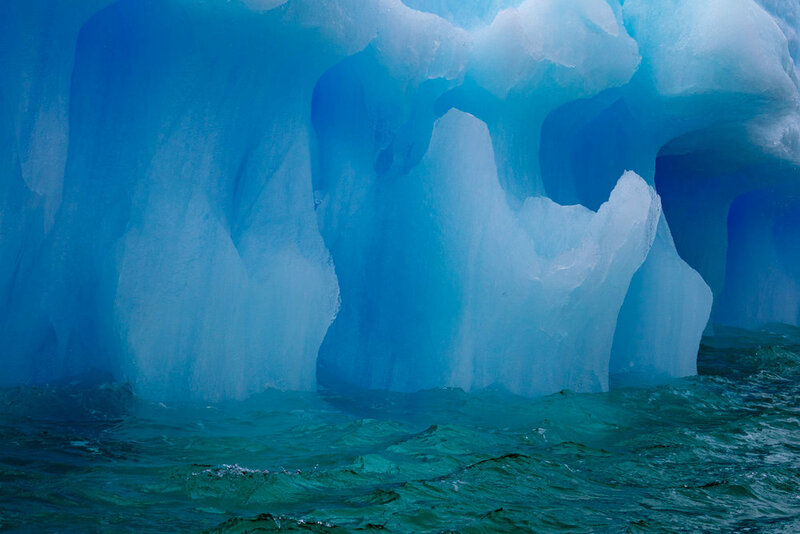 We’ll travel through some of Alaska’s most pristine waterways, and we will see great wildlife, landscapes and yes, even some glaciers and plenty of icebergs! This is a very exclusive and small-group workshop. Travel in comfort aboard the Northern Song with a very small-group of like-minded photographers and wildlife enthusiasts. There's only room for 7 guests! We start this wildlife journey in Sitka, Alaska and end in Petersburg. We'll board our yacht on April 17, and live aboard for the next eight nights. 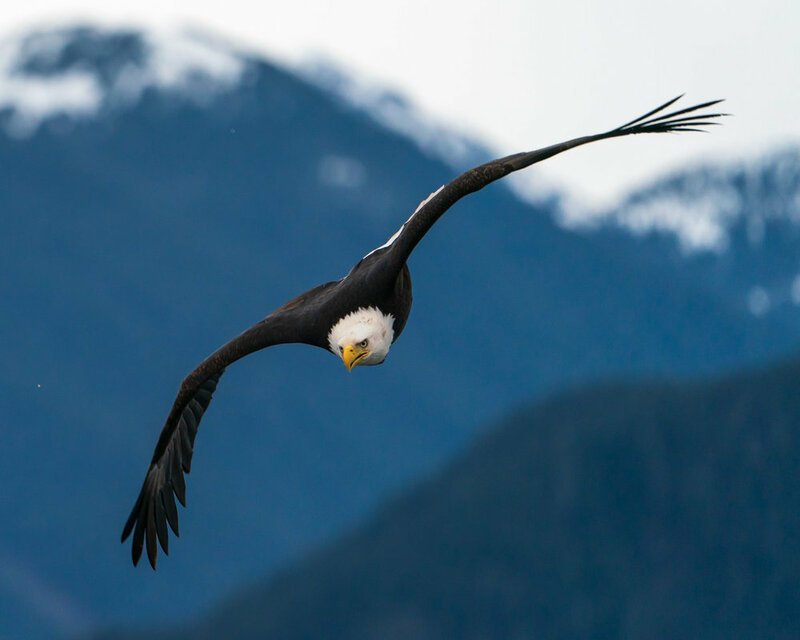 Our shooting routine will include many opportunities to photograph eagles, humpback and killer whales, seals, sea lions, black bears, and more. We'll spend time teaching you the fine points of catching birds in flight, such as eagles catching fish in their talons, and so much more. Landscape opportunities abound—with the tidewater glaciers, rugged coastline, and waterfalls that seem to be everywhere. 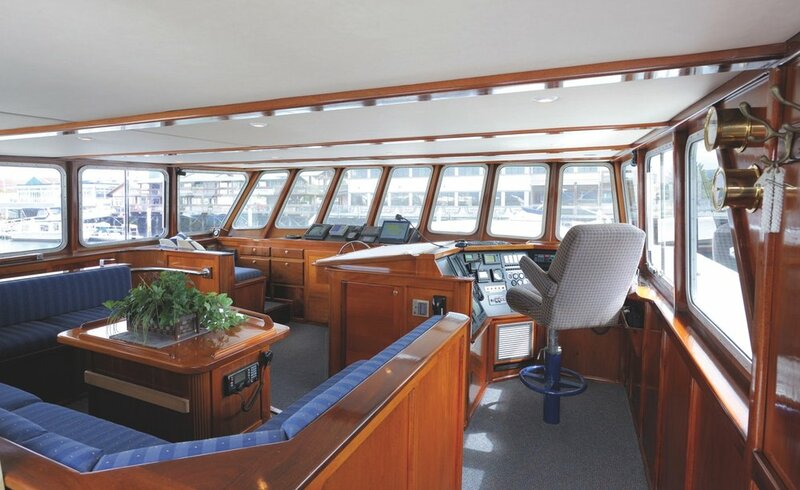 There's no shortage of deck space for easy shooting aboard our yacht, so don't worry about that. When we have downtime, there will be opportunities for individual instruction and group image reviews. During this workshop we will be traveling aboard our private, 84-foot world-class expedition yacht, The Northern Song. This luxuriously appointed yacht offers an ideal balance of public and personal space with ample outdoor areas for photography and lounging. 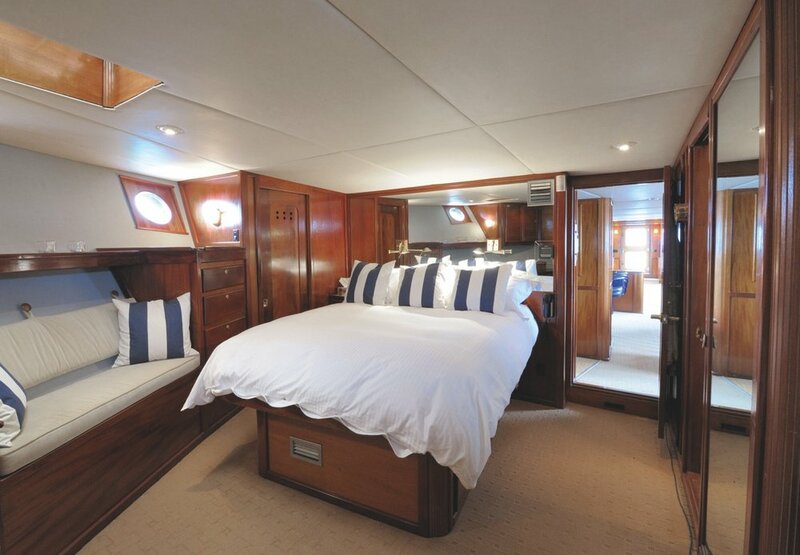 Your cabin is clean, bright and comfortable, with a private bathroom and shower. There's plenty of public space to spread out and relax. Each day, as much as possible, we'll feature image reviews and critique, as well as Lightroom instruction. Plan on working hard! We will have an on-board chef who will be preparing freshly caught salmon, crab, halibut, shrimp, black cod, and other delicacies purchased from Southeast Alaska fishermen. Of course it's not all fish, and any dietary requirements can be accommodated. Dinner will be served alongside a selection of boutique wines or specialty beers from Alaskan Brewing Company in Juneau. You will be guided and taught by Muench Workshops’ co-founder Andy Williams, an accomplished professional photographer and photographic educator who has a deep passion for the outdoors. We believe that one of the best ways to teach is by demonstrating, and to this end, Andy will be shooting alongside you, demonstrating his vision, technique and sharing his love and knowledge of wildlife and the landscape. However, the priority is always you, and helping you get the best images you can get. Your shots come first. Our Alaska wildlife expedition comes to an end when we reach port in Petersburg at approximately 3:00 PM on April 25, 2020. We have rooms arranged in Petersburg, since you will likely need to fly out on the April 26, 2020. Flights: Arrive in Sitka, Alaska, on or before April 17, 2020 and depart from St. Petersburg, Alaska, anytime on April 26, 2020. Inspiration and a great time! Your transportation to Sitka and from Petersburg, and any lodging in Sitka or Petersburg (we have arranged rooms). Alcoholic beverages, except as noted (beer and wine at dinner). Medical Evacuation Insurance (Required). Trip Cancellation Insurance (Optional). Items of a personal nature. Anything specifically not mentioned as included. Your deposit of $4,000 USD will reserve your place, with a second payment of $3,000 due by October 1, 2019, and the balance is due not later than January 1, 2020. For this workshop all payments are non-refundable so we recommend trip cancelation insurance. All of our other standard terms and conditions apply. This is an exclusive small-group wildlife photographic experience that sells out year after year. If this workshop has your name on it, don't delay, click the "Sign Me Up!" button to join us. We'll see you in Alaska!